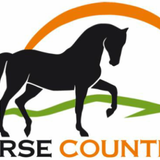 You may receive updates from Horse Country Miami, the creator of this petition. True North Charter School is applying to put in a new school in West Kendall. Proposed to accommodate 1,450-students, the facility at the corner of SW 118th Ave. and Miller Drive would be located next to Westwood Christian School and across the street from the Early Start Learning Academy. This is big news for the neighborhood, because clearly “big" does not mean “better" – especially for the residents of Horse Country. Big is bad. The massive increase in traffic will have a dramatic impact on our quality of life by not only impacting the tranquility of Horse Country, but by further inhibiting local resident’s ability to get to and work from West Kendall. Traffic is BAD. Sign this petition and tell the County Commission to VOTE NO! We, the undersigned, respectfully ask you deny the True North Charter School application to build a facility at Miller Ave. and SW 118th Ave. The tranquility of Horse County will be adversely impacted and the traffic there will increase, particularly for commuters coming from the west during morning rush hour.